Dr. Antoni Guasch is a research engineer focusing on the modelling, simulation and optimization of dynamic systems, especially continuous and discrete-event simulation of industrial processes. He received his PhD from the UPC in 1987. After a postdoctoral period at the State University of California (USA), he becomes a Professor of the UPC at the department of Automatic Control and the head of Simulation and Industrial Optimization at inLab FIB. Since 1990, Prof Guasch has lead more than 40 industrial projects related with modelling, simulation and optimization of nuclear, textile, transportation, car manufacturing, water and steel industrial processes. Prof. Guasch has also been the Scientific Coordinator and researcher in seven scientific projects He has participated in four EU projects, with the role of partner leader in two of them. 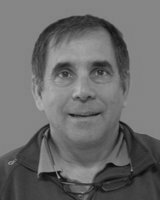 Prof. Guasch currently research projected sponsored by Agbar is related to the development of optimization algorithms for agricultural land irrigation. Prof. Guasch is leading the development of tooPath, a web server system for the free tracking of mobile devices. The kernel of this tracking system is being used in a Web service developed for Alstom which tracks the position and speed of high speed trains in Spain and monitors the train’s alarms.